How do you grow up, if who you are keeps changing? Jill McTeague is not your average high school graduate, she’s a scientific anomaly. Every month for four days she turns into Jack, a guy—complete with all the parts. Now everyone in her hometown knows that something very weird is up with her. So what’s a girl (and a guy) to do? Get the heck out of town, that’s what! With her kooky best friend, Ramie, Jill sets out for New York City. There both she and Jack will have to figure out everything from the usual (relationships) to the not so usual (career options for a “cycler,” anyone?). 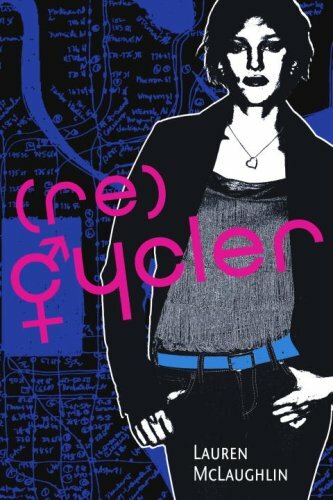 As in Cycler, the first book featuring Jack and Jill, author Lauren McLaughlin deftly weaves the downright mundane with the outright bizarre in a story that, while defying classification, is peopled with characters that readers can fully relate to.